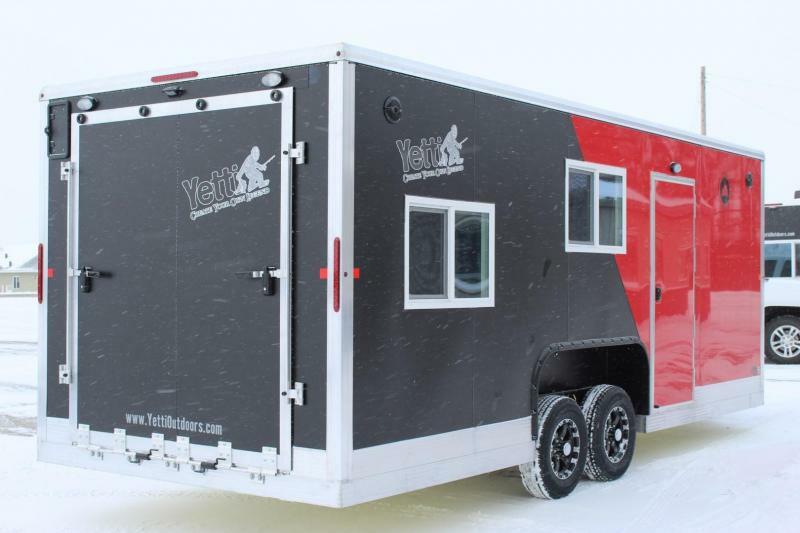 The Yetti Grand Escape Edition GE816-PKH is a new concept to our all-season fish house line-up. 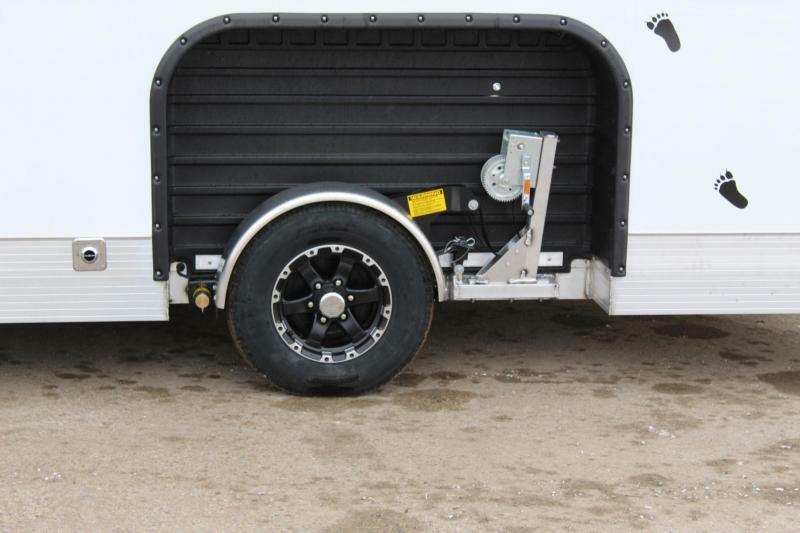 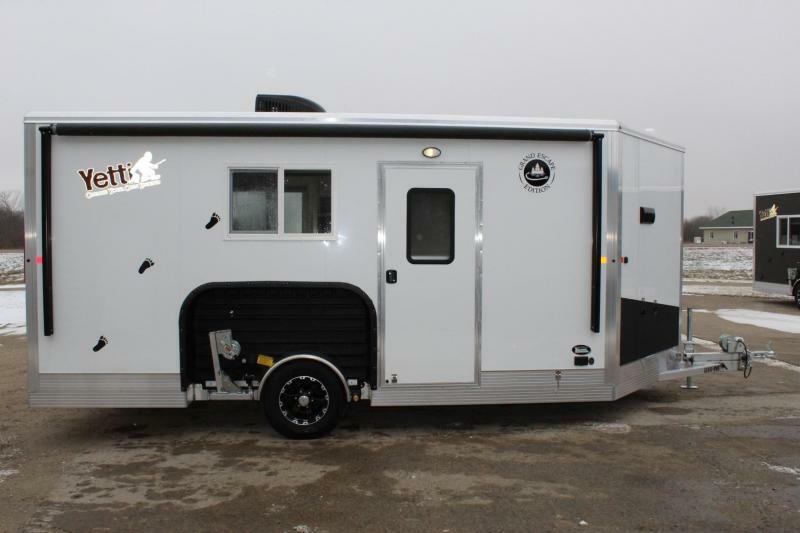 The perfect option for serious anglers in the Winter, that want something to camp out of in the Summer. 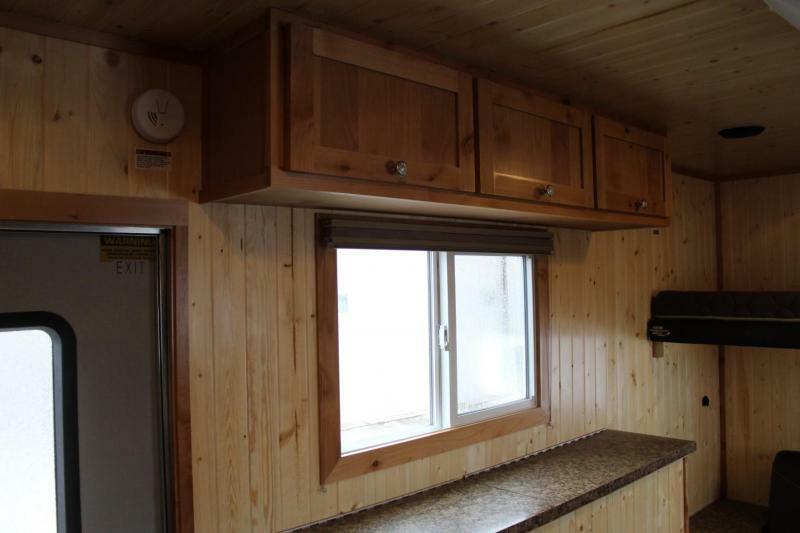 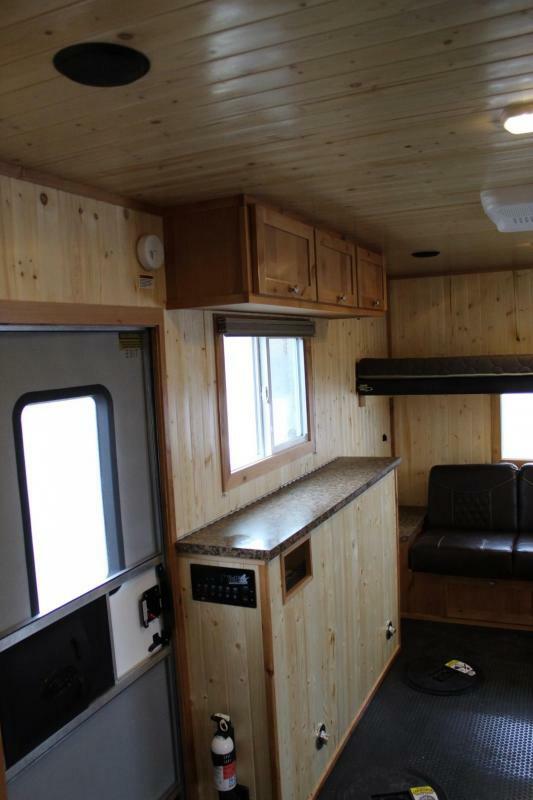 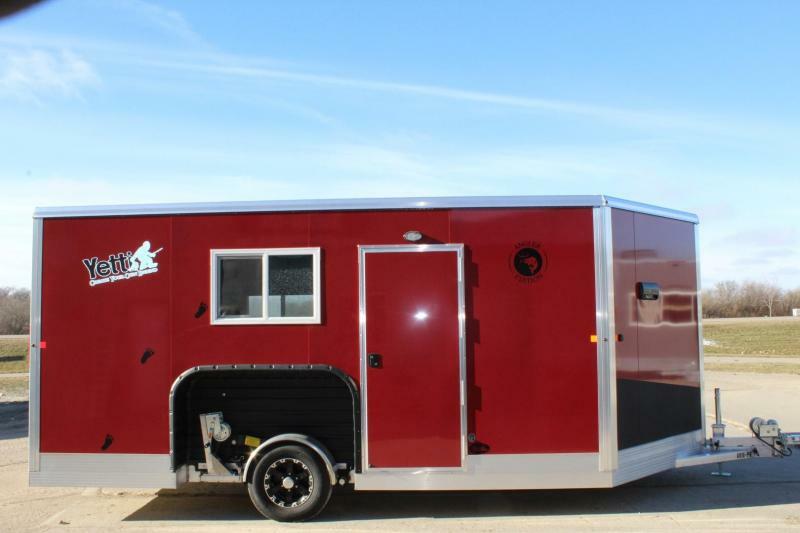 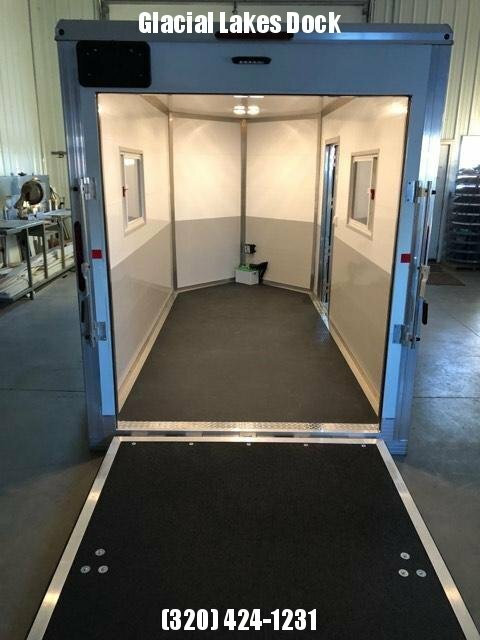 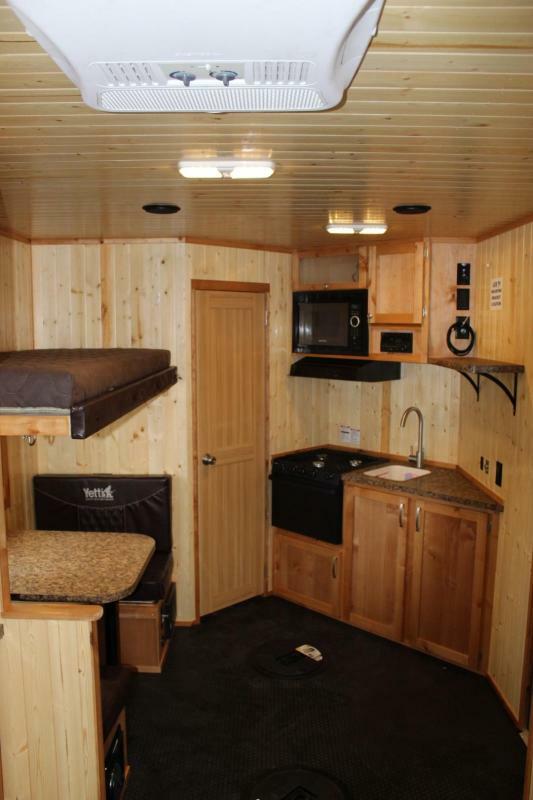 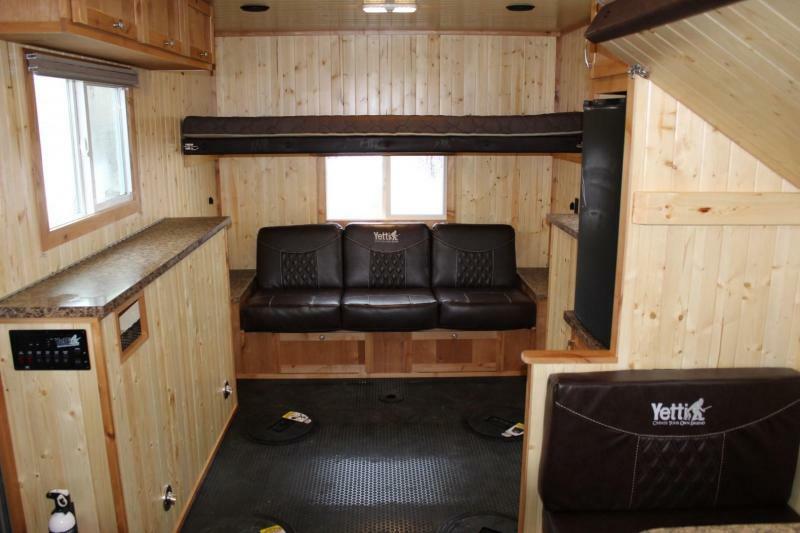 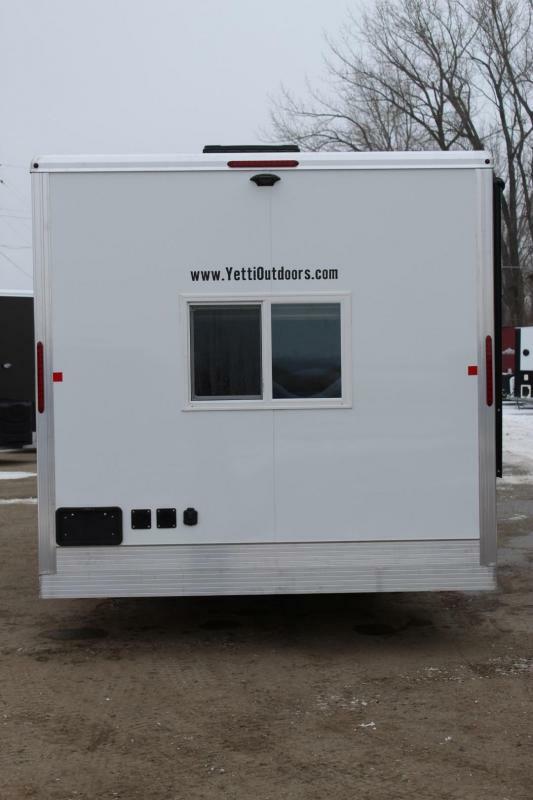 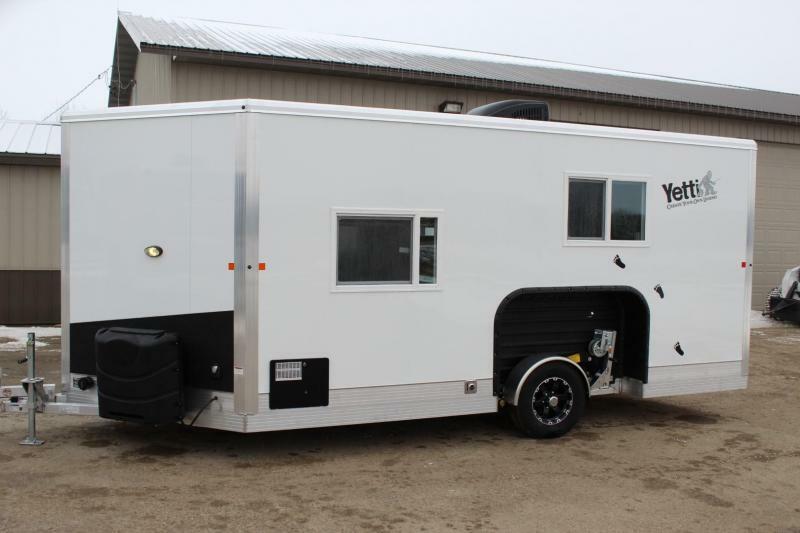 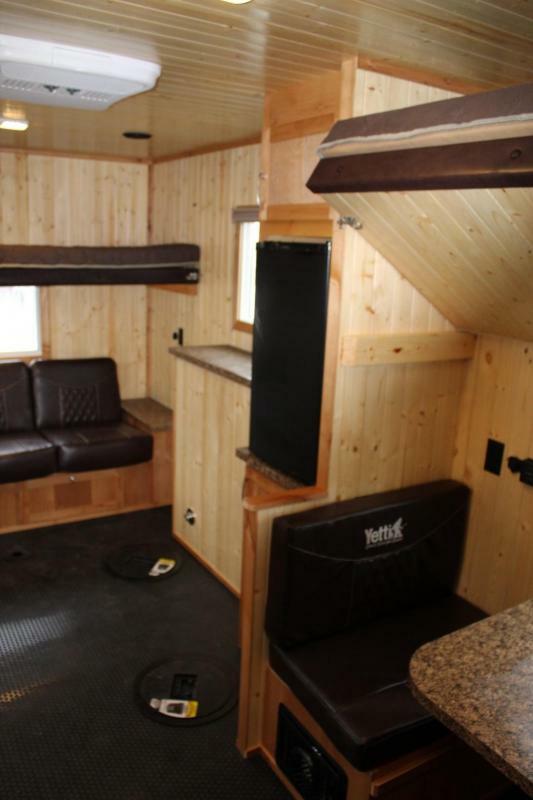 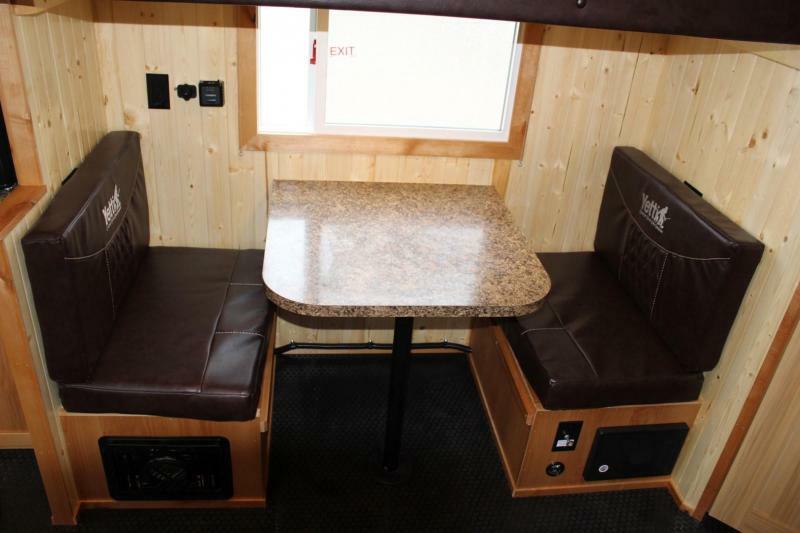 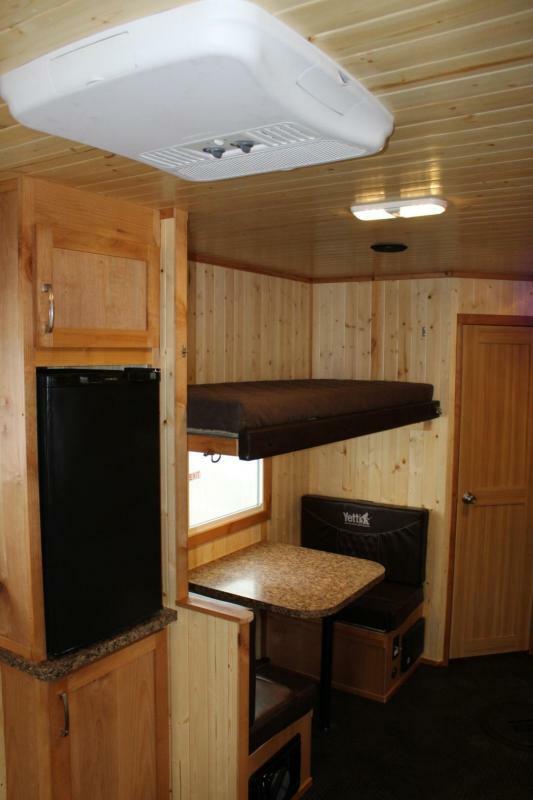 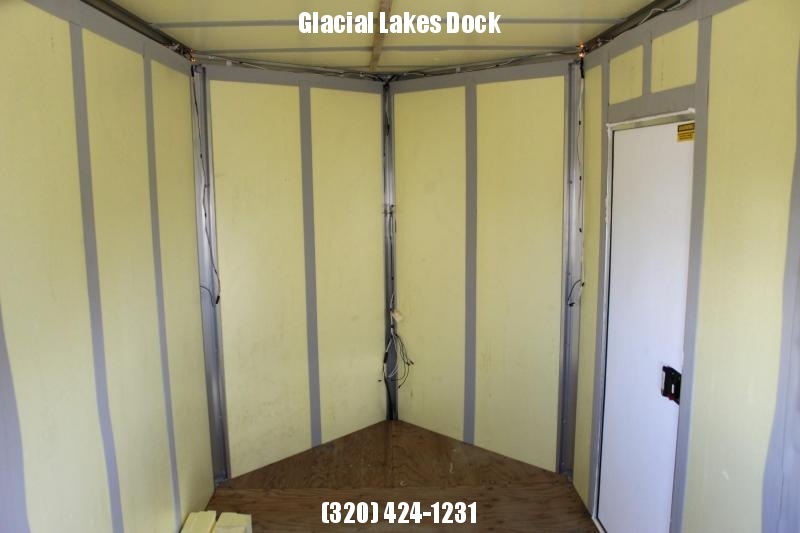 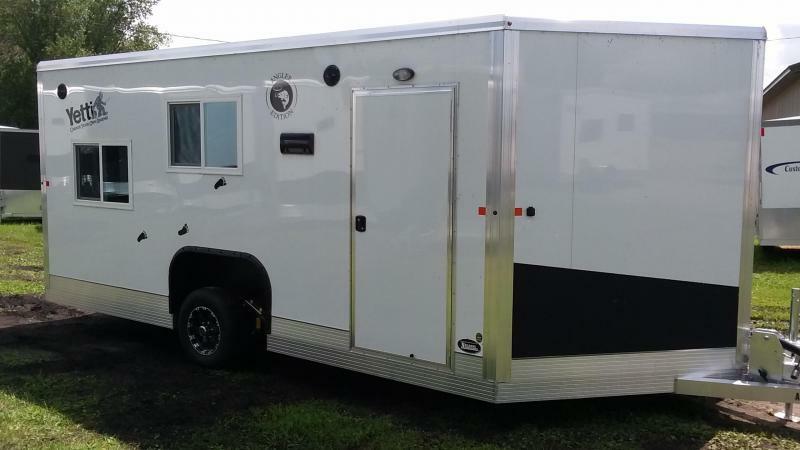 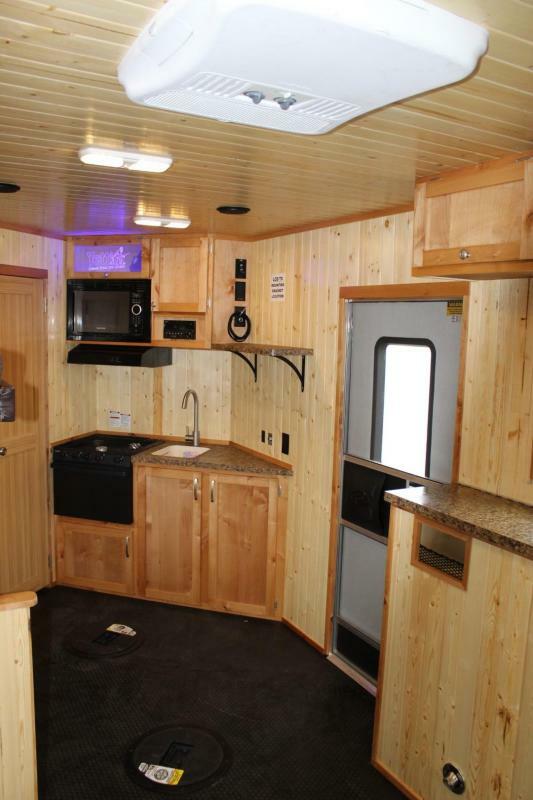 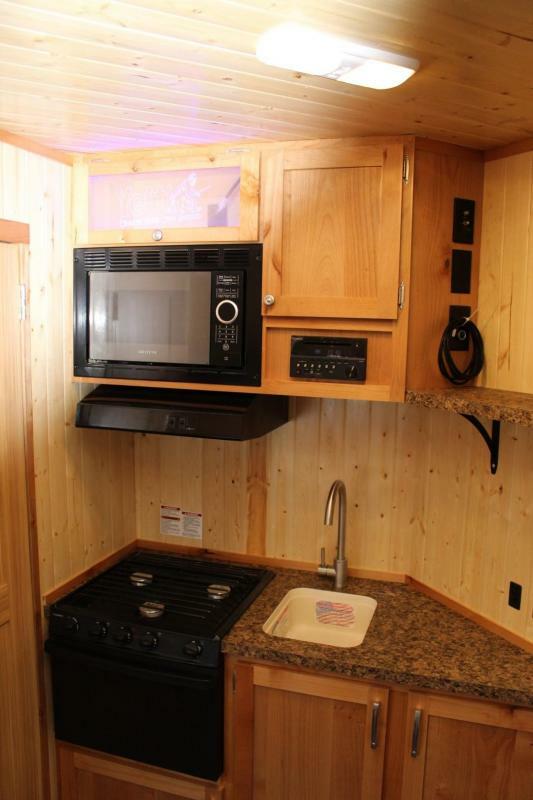 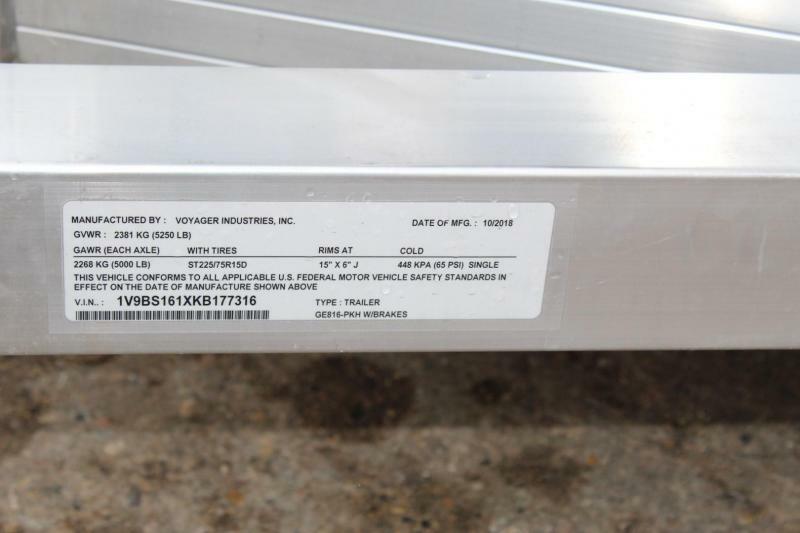 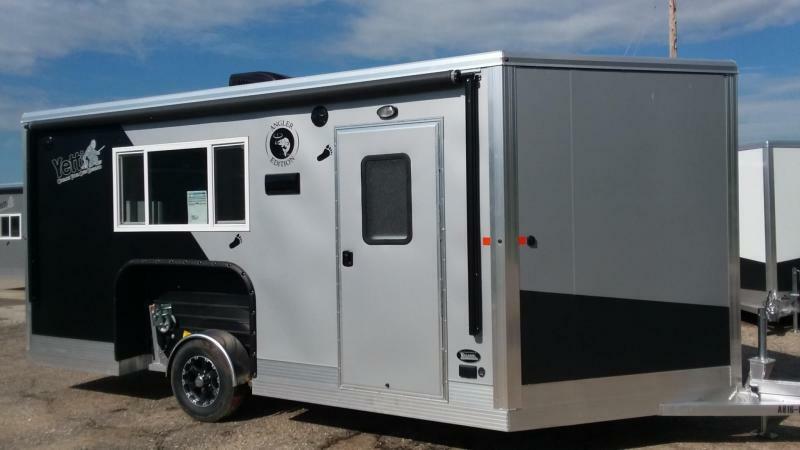 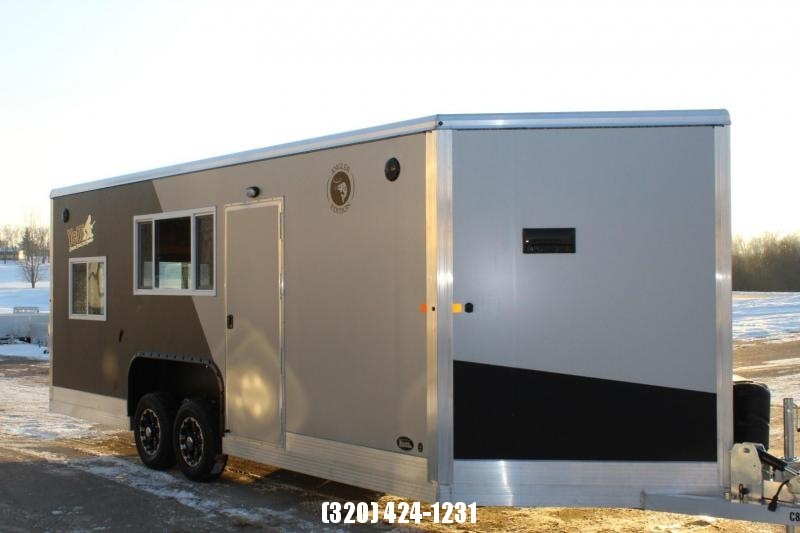 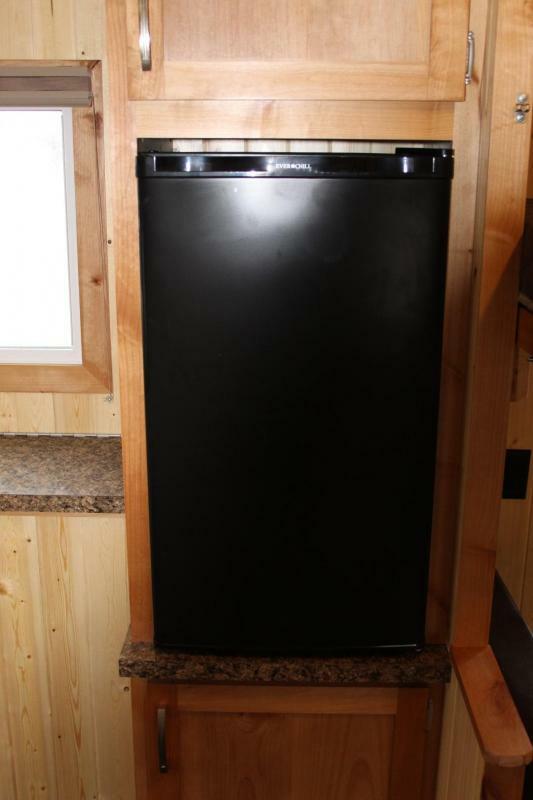 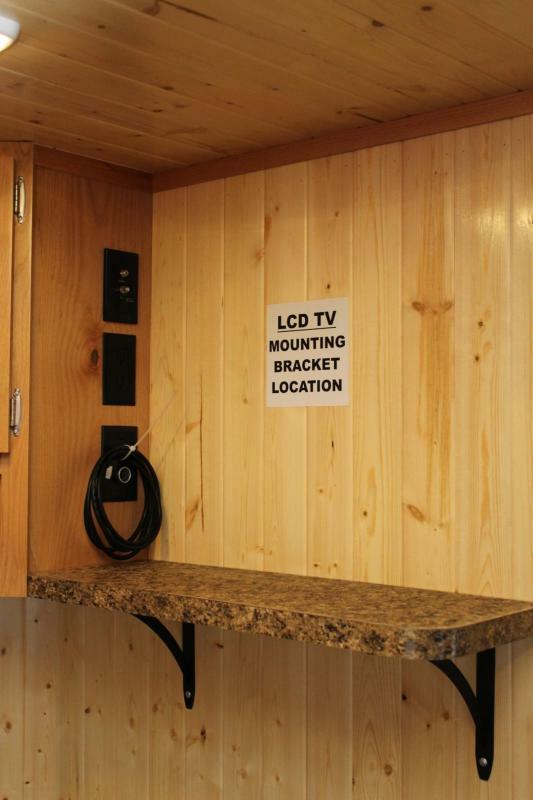 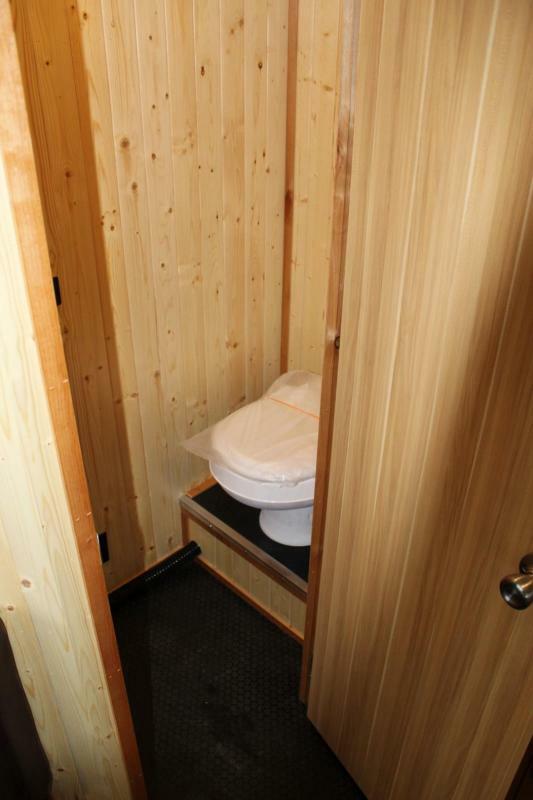 Options included on this unit: Pine Interior, Power package, DVD player, and window shades. 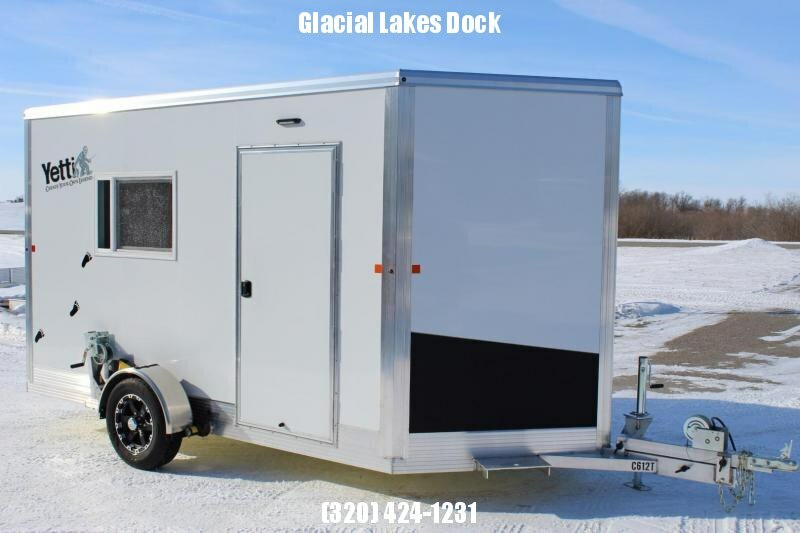 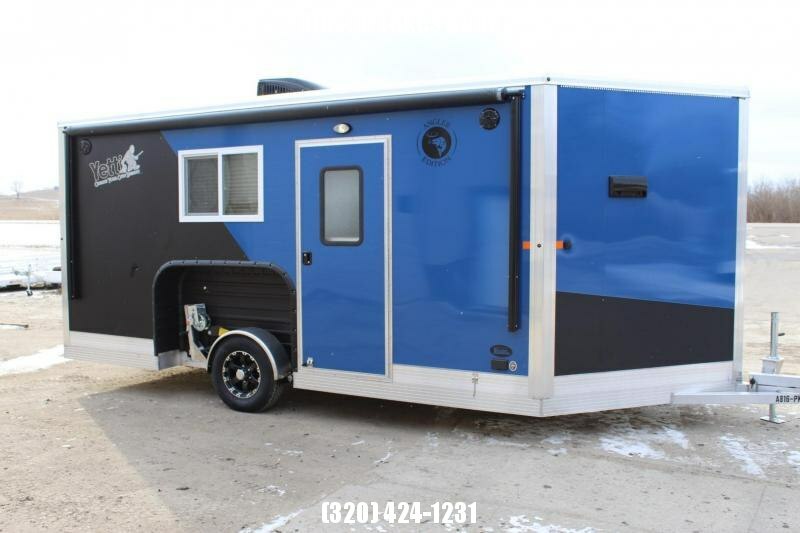 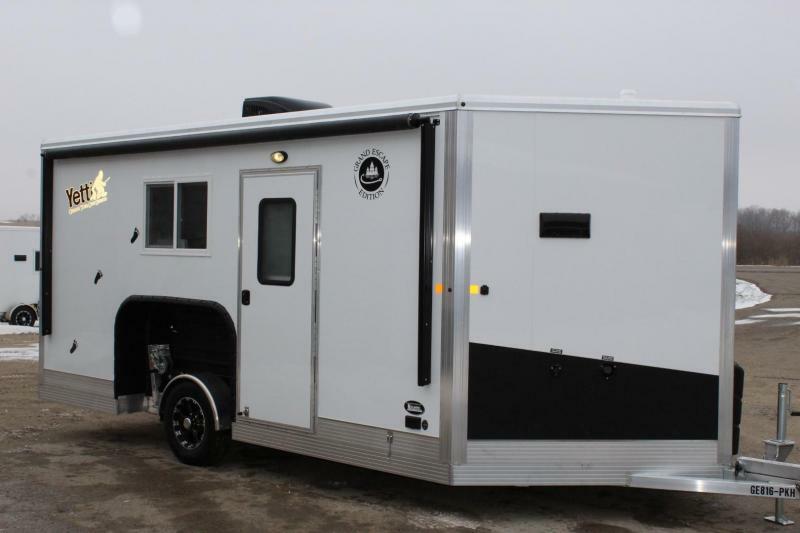 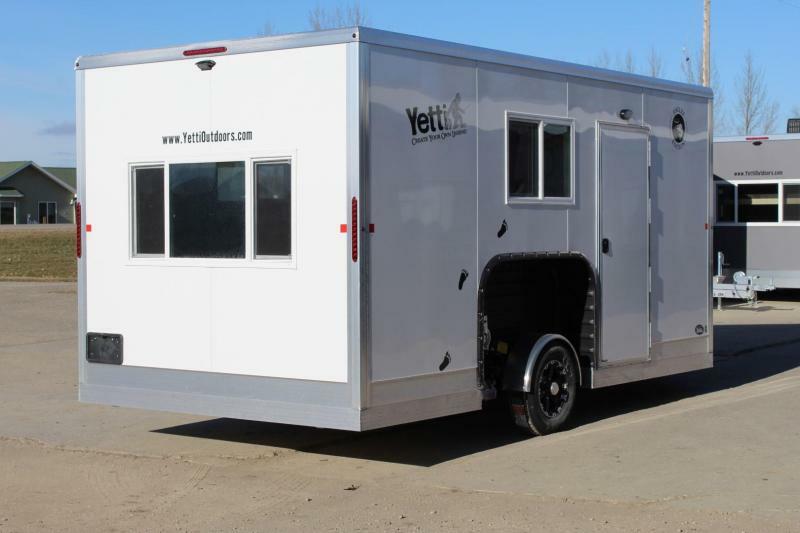 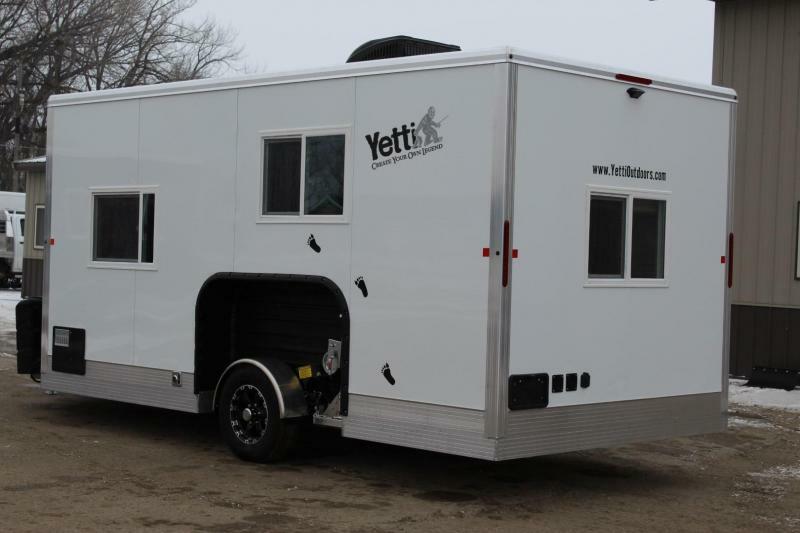 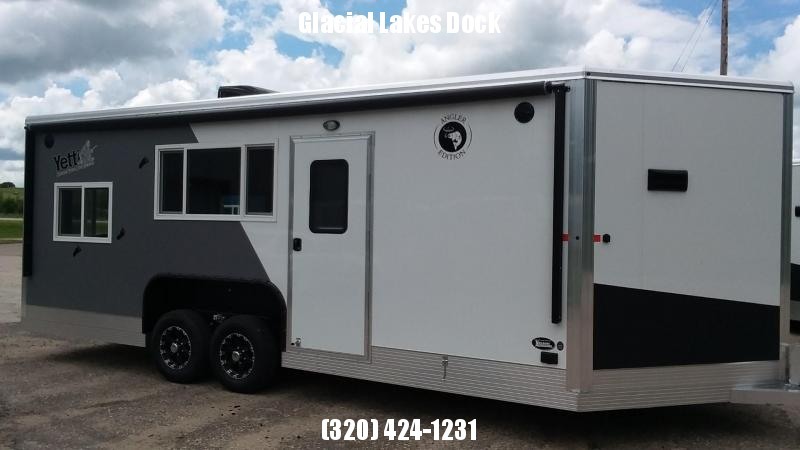 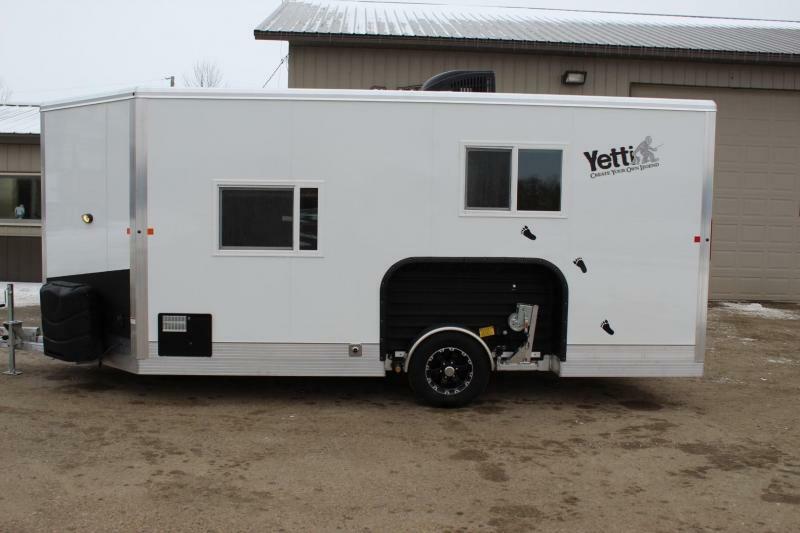 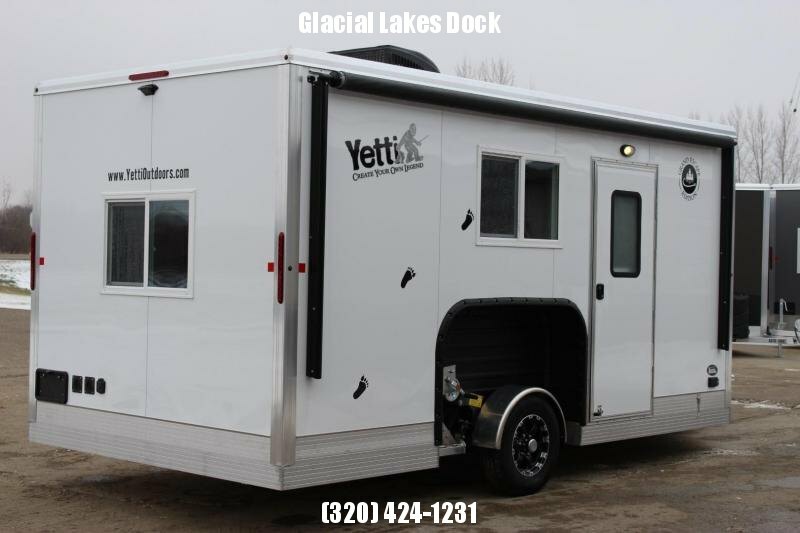 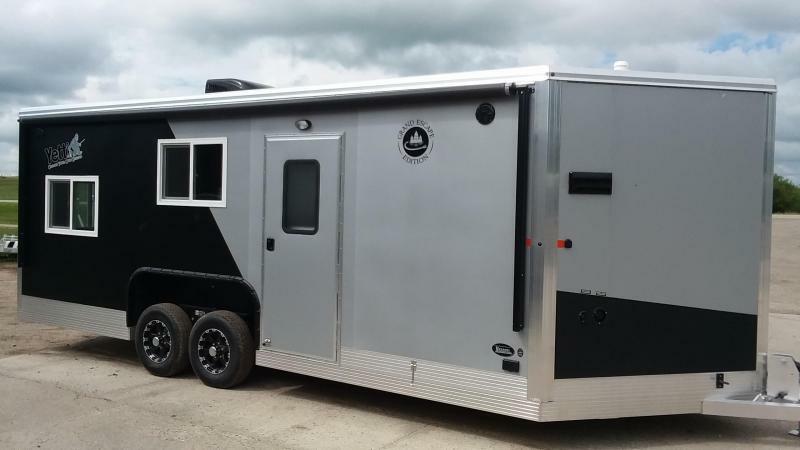 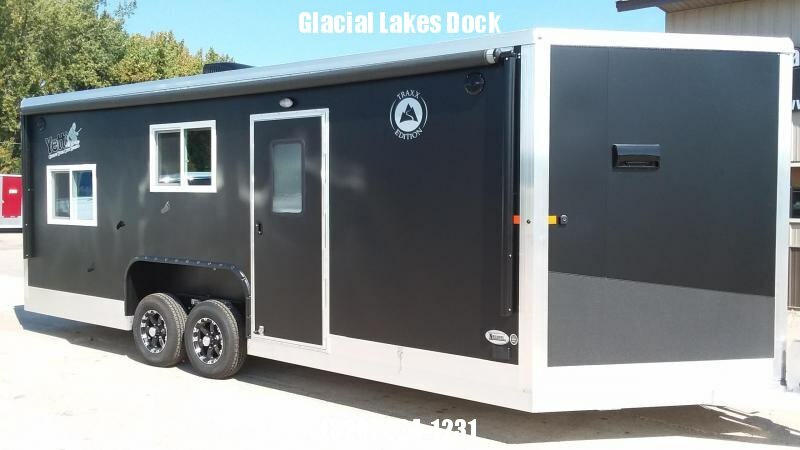 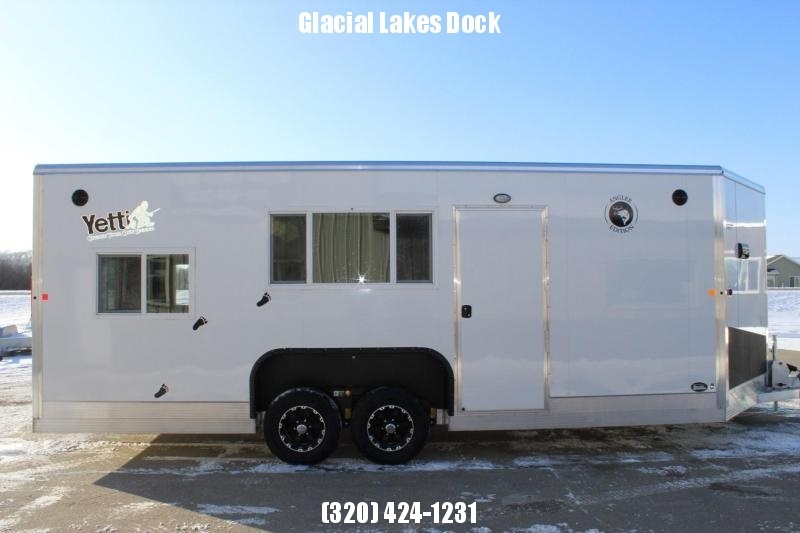 2019 Yetti Angler Edition A821-PK "All Season Custom"
2019 Yetti Angler A816-PRK "Game Day Custom"
Like Glacial Lake Dock on Facebook!